Well-developed band programs are often a point of pride for suburban schools while inner-city schools, like Hutchinson Central Technical High School, don’t have band available in the schedule. 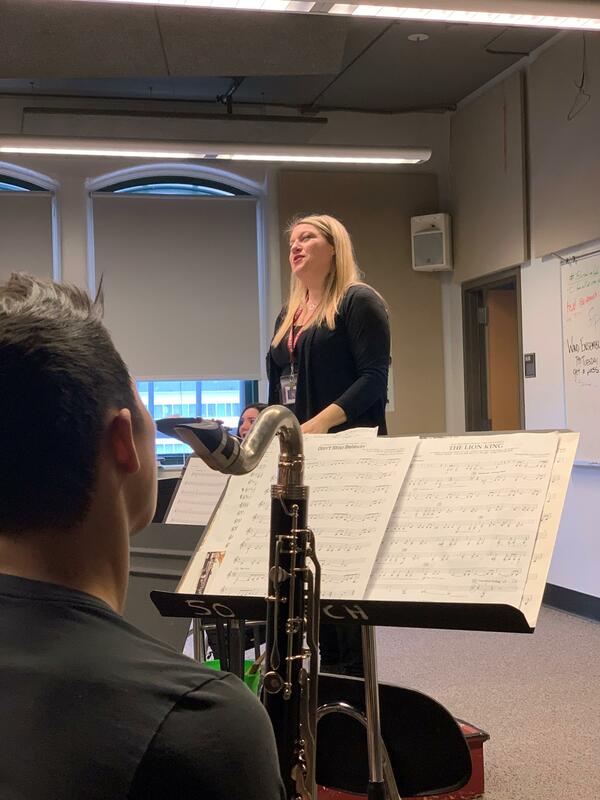 Amy Steiner, Hutch-Tech’s band director, is questioning if the Buffalo Public Schools have been going against state regulations that say public schools must offer students the opportunity to begin an approved sequence in the arts in ninth grade. Amy Steiner is a two-time Grammy nominated music educator who has been teaching in the city of Buffalo since 1996. Despite her proven track record, she, like many of her peers, are running in to a problem. They can’t seem to get band in to the school schedule. When it’s not in the schedule, it puts the pressure on students and faculty to rehearse before school, which is easier said than done. “They need that release every day. They find something else to do. They can’t juggle coming up every lunch period to get in five minutes of playing. Then they get frustrated and then they end up ultimately asking to drop,” Steiner said. New Yok State regulations say public schools must offer students the opportunity to begin an approved sequence in the arts in ninth grade. You can read more about the regulations here. Steiner asks, if music isn’t an option to have in the schedule, isn’t the BPS failing to meet requirements? “People who have grown up here in the city, becoming the teachers, becoming the administrators—how do they know any different? I’ve been in this system since the '90s. It hasn’t changed. For heck’s sake, we still get the same $200 budget to run a band program every year,” she said. In the BPS there are a total of 13 high schools that could have instrumental or classroom music. Six of those programs offer zero music and only two have band in the schedule. Steiner said funding for arts is then left up to site based management teams, who vote on where the money goes. “They have to figure out how they are going to spend that money wisely so that they are a school in good standing. So that they’re a school that has enough reading coaches and math and they have to look where their deficiencies are in the school to help those along, as well,” Steiner said. “Having a site based management team having to choose if they want an arts program doesn’t make any sense. Because they’re not supposed to. They’re just supposed to be given the program,” she said. This is something suburban schools don’t often have to worry about. 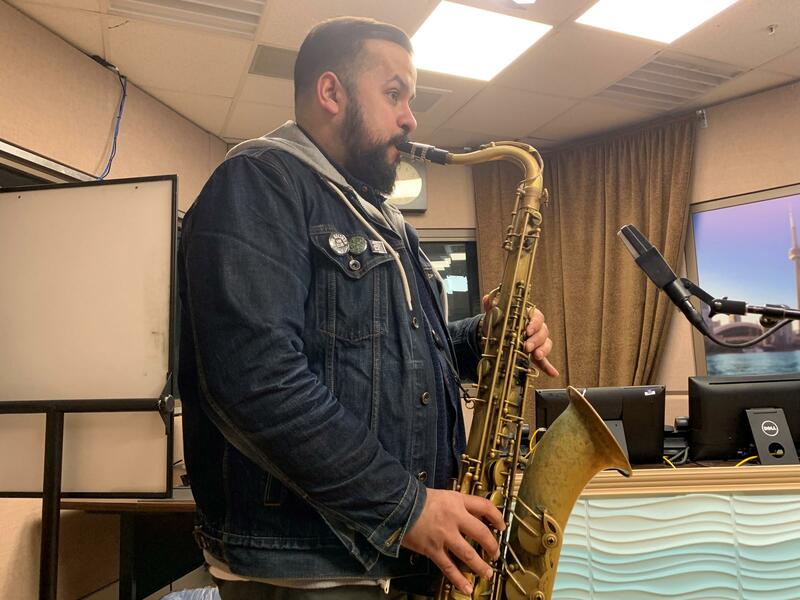 Buffalo jazz saxophonist Nelson Rivera’s high school experience gave him the best of both worlds. He entered Hutch-Tech as a freshman in 2000 before moving to Clarence as a junior. “I knew right away, early on in my education, proud Buffalo Public School student and I knew I was going to go to Hutch-Tech. There was no other option. I was very proud to be there. A lot of my friends where there. I was a product of the Olmsted school system,” Rivera said. “My band experience at Hutch-Tech was one of the best experiences I’ve ever had given the limited resources to them,” he added. At the time, legendary BPS music educator Ben Boyer had just arrived to Hutch-Tech. When Rivera eventually moved to Clarence in the middle of high school, it was a bit of a culture shock. So what’s the benefit for having band in the schedule every day at a place like Clarence? It gave Rivera a chance to take band more serious. 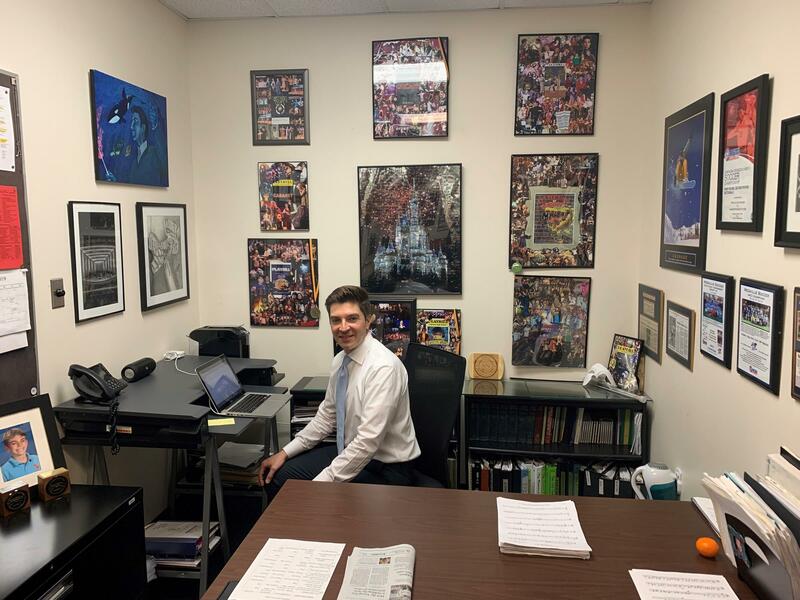 His band director, Louis Vitello, who still is the Wind Ensemble conductor at Clarence High School, said Rivera was fantastic when he arrived from Hutch-Tech. Vitello said it makes no sense not to have band in the schedule from an educational perspective. If a threat were ever to present itself, Vitello said parents in the district would step up. But Vitello acknowledges there is a suburban perk. Rivera credits music helping him develop in to a STEM professional. He went from Clarence to UB as a bio major. “You go in to things like pedagogy—there’s a lot of things with scaffolding and how you teach students. You teach them similarly and they learn similarly with music as well and that helps them across the board,” he said. Rivera said he didn’t think it was a coincidence some of the smartest kids in school played with him in band. “All of my friends that I could remember were in AP courses. They did everything under the sun. They were involved in community service, they went above and beyond everything they had to do,” he said. About a decade-and-a-half has passed and that is still the trend at Clarence, according to Vitello. Whether it’s an abundance of studies that point to the benefits of what a healthy music program can do for students or the individual stories themselves, if the end goal is to create equal opportunity for all students in the Buffalo region, students in impoverished areas who attend schools not in good standing should have access to music too. If not, Steiner said that would be discriminative. “They’re spending their money on reading coaches and math coaches to get their scores up. They can’t even think about [it]. They have to think about hiring more interpreters and counselors because these kids are coming from refugee camps,” said Steiner. The BPS has said in the past the 30 grade 5-8 schools all have resources present to have instrumental music. Steiner said that is just smoke and mirrors and not a sustainable model for properly funding programs. Steiner did highlight an environment where one day in a cycle could work. “At a school like Olmsted, we have a different cliental of students,” she said. “Privileged. The suburban perk is at School 64, ‘Baby Olmsted’ I call it. I did one [band] day a cycle at Olmsted. I had like 75 kids in that one day. They would all show up. I had them renting their own instruments. Not the crappy district instruments. They would show up every week, whatever day it was, all have their instruments. They have parents at home that are like, ‘Practice. Practice.’ I also told Olmsted I needed band on A-days, the last period of the day every time I was there. And they were like, ‘ok.’ And they gave it to me. There’s a difference,” she said. Another problem for certain city schools regarding one day a cycle schedules: kids often have trouble remembering what day to bring in their instrument. Steiner said the diverse students she taught at International Preparatory School, which included refugees and many English Language Learner’s, posed many barriers that music helped break through. And at a very diverse Hutch-Tech, she sees the same thing. State regulations say students must be given the opportunity to complete music sequences when the first enter grade 9. Studies show the benefits to the programs. Music educators will continue to plead their case. But will and when something be done about it? Teachers like Amy Steiner don’t appear to be dropping the issue anytime soon. Borderland Music and Arts Festival is returning to Knox Farm State Park September 21 and 22. Wednesday they announced their lineup and hope to triple attendance from year one heading in to year two. Two of the biggest names in folk music are in Buffalo. Fifteen-time Grammy award winner player Bela Fleck and Abigail Washburn are performing at Asbury Hall at Babeville Wednesday at 8 p.m. The husband/wife banjo duo spoke with WBFO’s Nick Lippa about touring as a family, music from their new album Echo in the Valley, how the banjo's image has changed over time in the public eye and how a certain dance helped Washburn deliver a baby.